"Eylem Kaftan gazes from her hotel window down over the bustling streets of Istanbul. 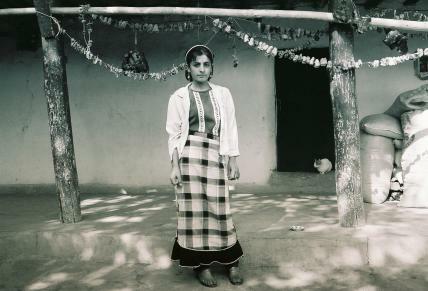 She is preparing for a 1400-kilometre journey into the heartland of her Kurdish ancestry. Armed with only a few contacts, a faded family photograph and a passionate urge to discover the truth, the Montreal filmmaker will travel deep into eastern Turkey to attempt to unravel the 30-year-old mystery of her aunt Guzide's murder. Vendetta Song is the story of her incredible voyage--a riveting account of a senseless vendetta killing, the antiquated customs that brought it about and one woman's search for connection and closure in a Kurdish culture she's never known. Working against time, political instability and facing possible retribution for her investigation, Eylem follows a series of word-of-mouth clues, venturing from village to village as she pieces together Guzide's final days and closes in on the identity of her killer. Amazingly, Vendetta Song brings Eylem face to face with one of the men she suspects is her aunt's murderer. It is 30 years later. Can the vendetta finally be laid to rest?" National Film Board of Canada. "NFB -- Vendetta Song." National Film Board of Canada. http://onf-nfb.gc.ca/en/our-collection/?idfilm=51381.